← Harry Craddock says your father smells of elderberries! Not much has happened since the last time I wrote a couple of weeks ago. I’ve only got two new cocktails to share with everyone today. 2. I’d say that nearly 85% of all readers who stumble upon my blog, do so as a result of their search for information on this amazing liqueur. It’s really interesting and really fun to see, in the WordPress site stats page, that probably 95% of the keywords searched, that lead readers to Scientist McGee’s blog, are in fact “Chartreuse”. Obviously there’s tons of other people out there, just like me, who love this delicious and potent herbal liqueur, and if my small, obscure blog comes up in their search results, there’s obviously not as much information on the internet about Chartreuse as there should be. But that’s OK… I’m excited that other Chartreuse lovers have found my little blog as a result of our shared love for this wonderful drink. Shake well and strain in to a chilled cocktail glass. Garnish with a lemon peel. 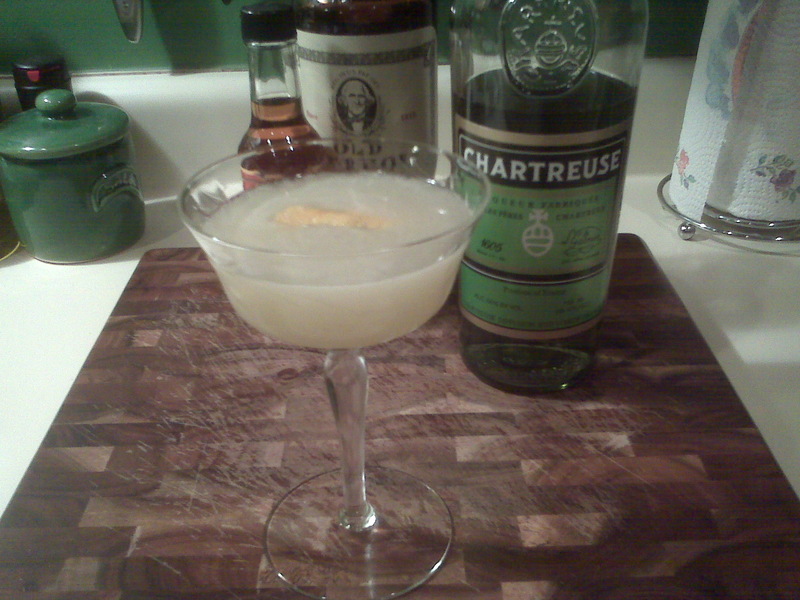 This is a great drink… It’s relatively light because of the dry vermouth and the lemon juice, but also has a wonderful Chartreuse punch! 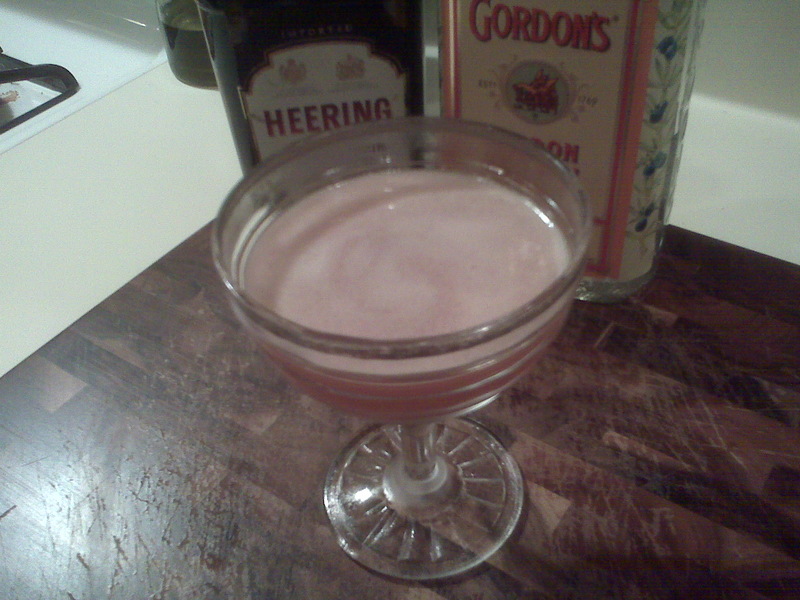 I don’t know who decided to swap out Chartreuse for the grenadine in the old recipe, but it was quite the upgrade. What a move… it’d be like the St. Louis Cardinals trading away pitcher Ryan Franklin for Roy Halladay. Those are the two new cocktails I have to share with you today. I expect to have quite a few new ones in the weeks/months ahead though, because I’m pretty excited about picking up a copy of “The Savoy Cocktail Book” today. This book is a treasure chest of great, classic cocktail recipes, compiled and written by Harry Craddock, Head Bartender of The American Bar at the Savoy Hotel in London, in 1930. I’ve already started rabbit-earring the pages of all the tasty drinks I want to try. And by the way—-I felt your Ryan Franklin jab punch through the computer screen…..